Wall Chimp’s new personalised Disney Font Wall Sticker is the perfect addition to any little boy or girls bedroom or playroom. 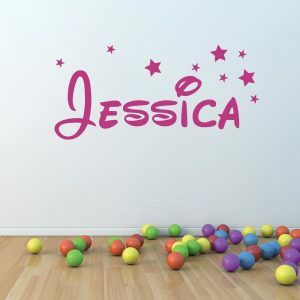 Each wall sticker is personalised with a name of your choice and are available in over 30 different colour options. Installation is easy and without.